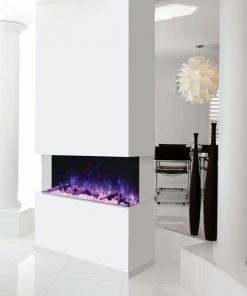 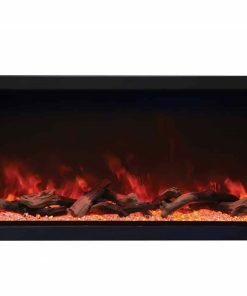 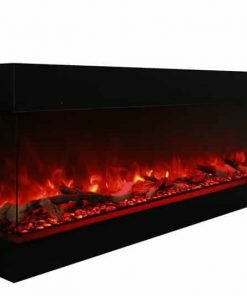 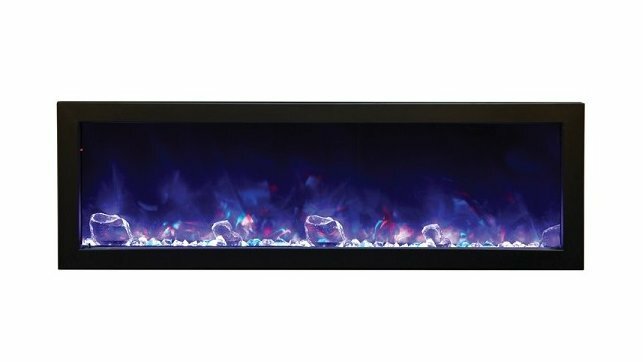 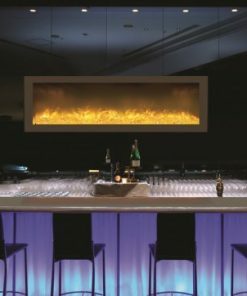 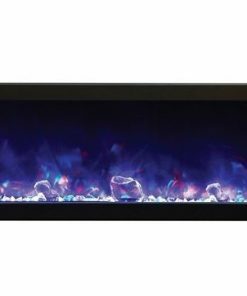 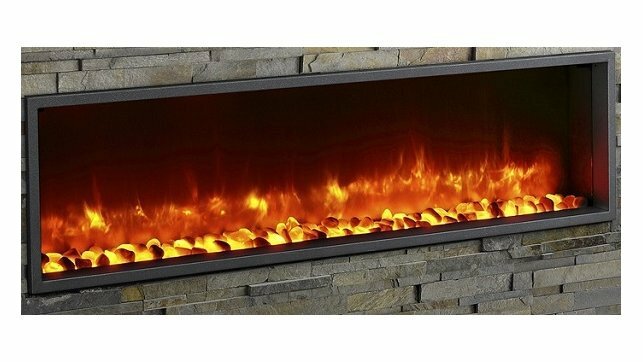 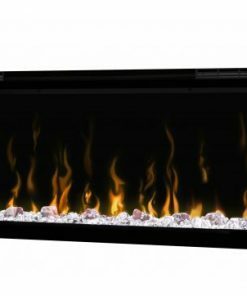 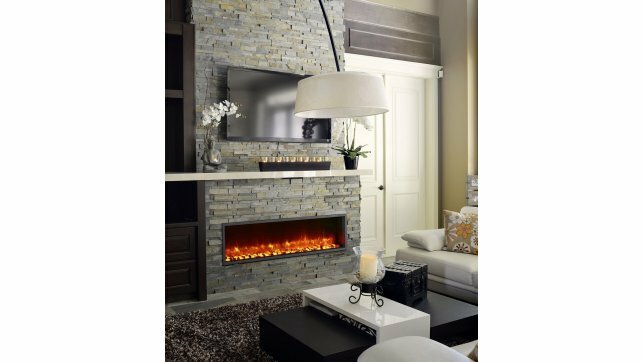 The Amantii BI-50-SLIM is a stylish 50″ wide and 6 3/4″ deep linear electric fireplace that makes a stunning addition to any space – Indoor or Outdoor. 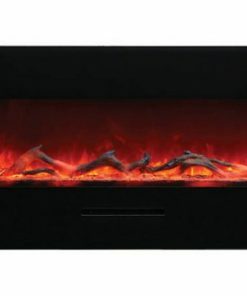 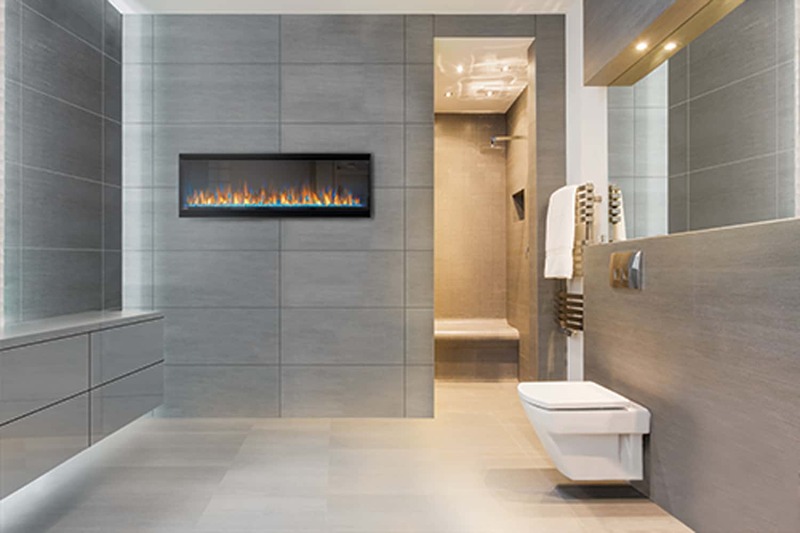 The Panorama Series of built-in electric fireplaces have been designed to give you the maximum in flexibility in selecting a unit that perfectly suits your needs. 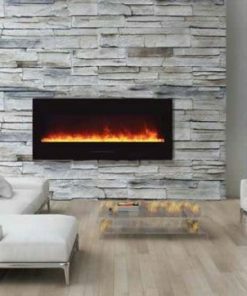 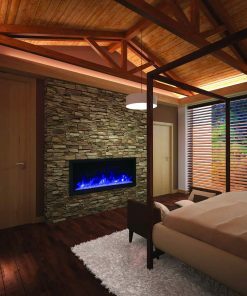 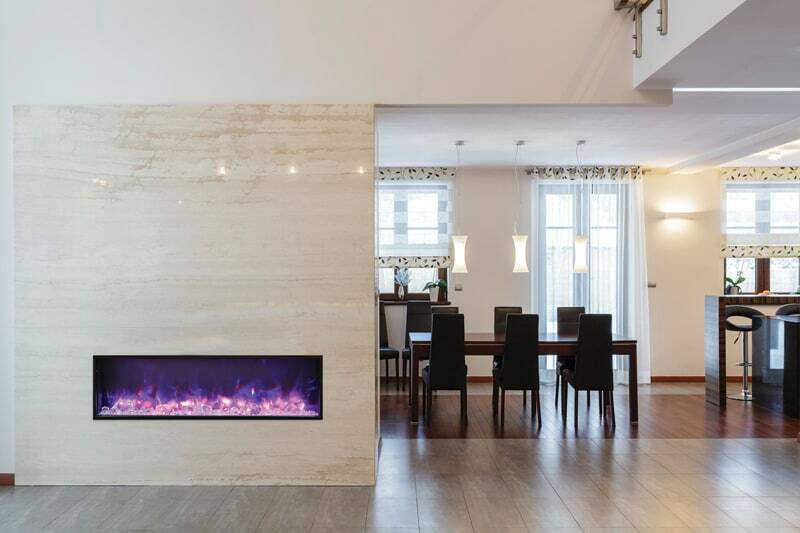 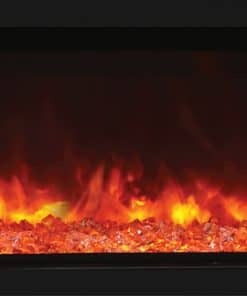 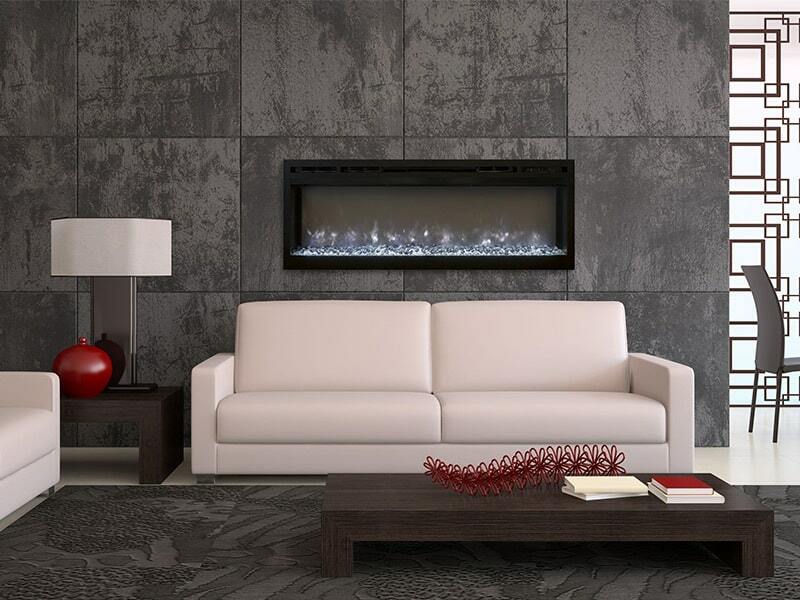 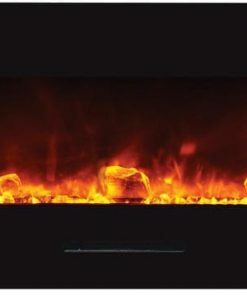 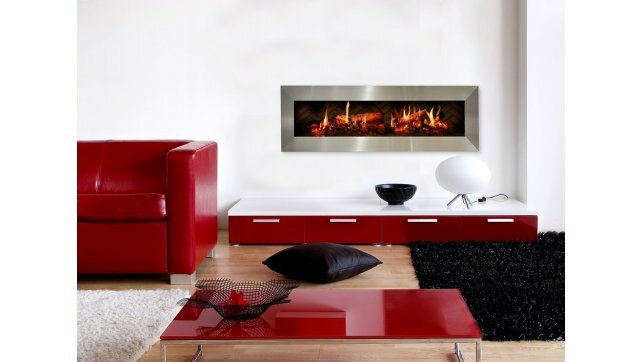 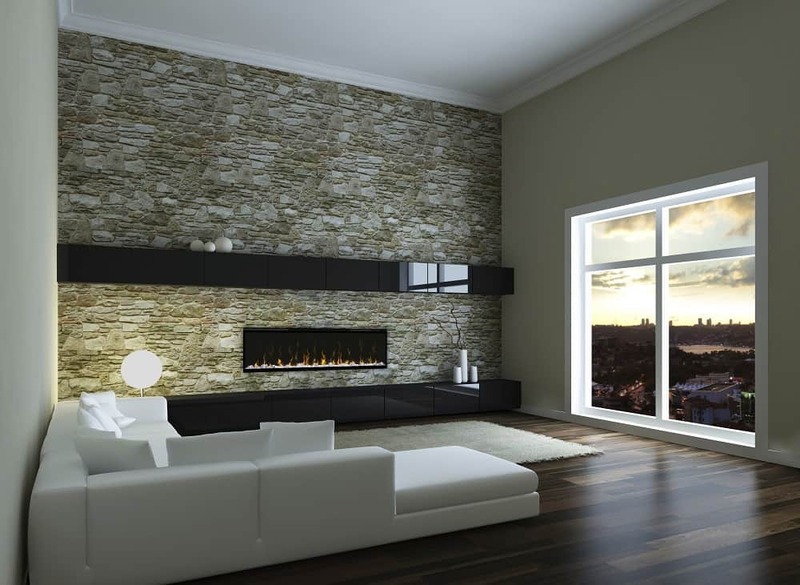 With the Amantii BI-50-SLIM, you have the ability to install your fireplace with your choice of finishing material built right to the glass for a “clean face” design or using the provided black metal surround. 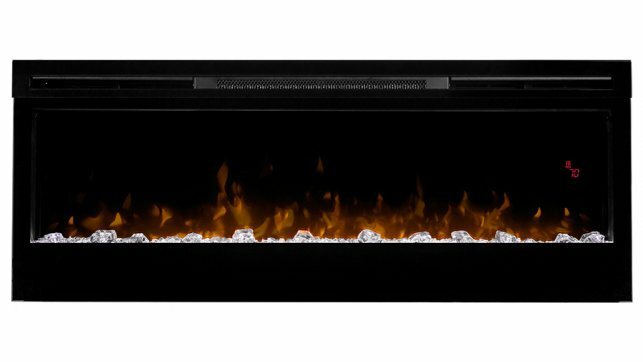 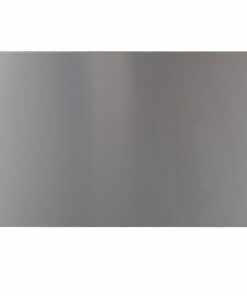 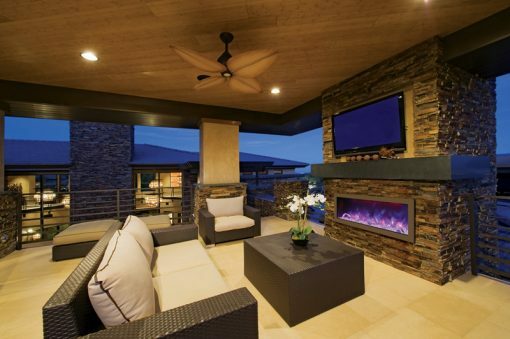 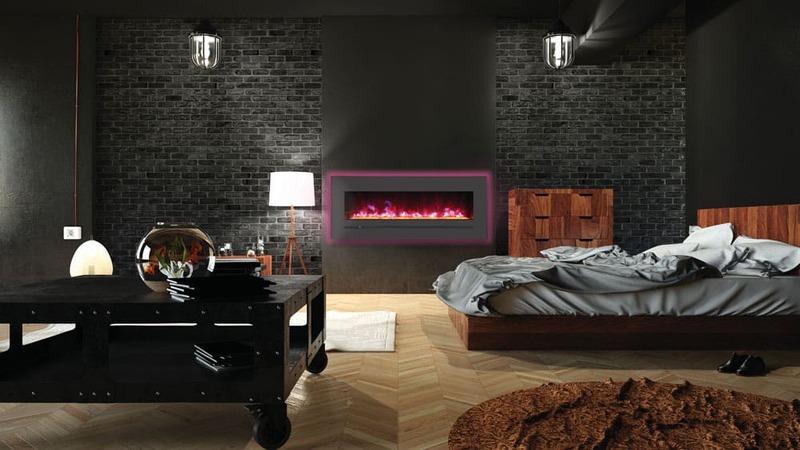 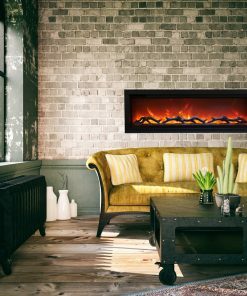 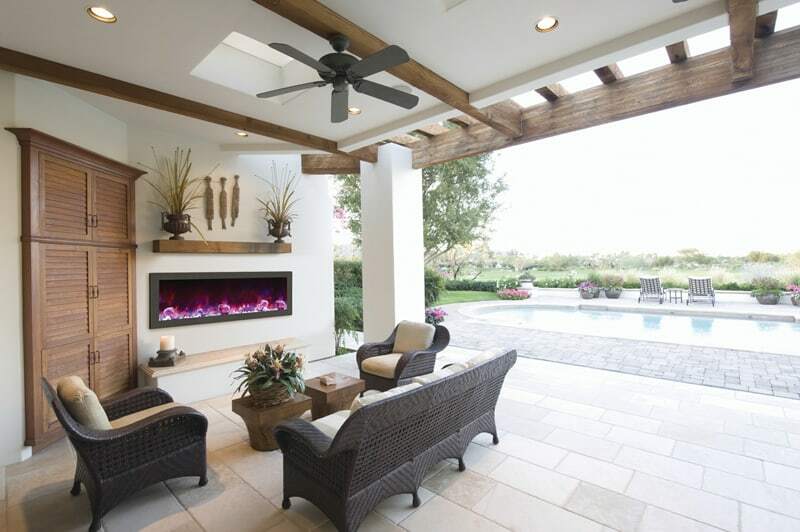 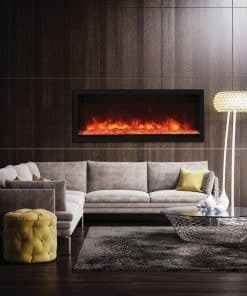 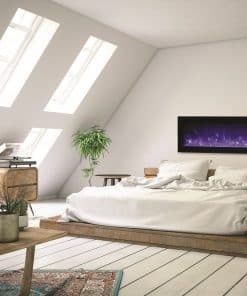 The heater and fan are located in the top of the Amantii BI-50-SLIM, and the glass is uniquely angled backwards to allow heat to cascade down over the front of the fireplace. 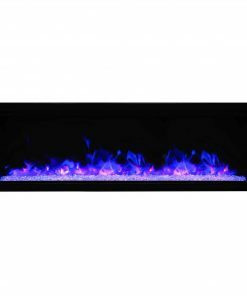 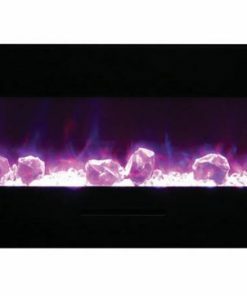 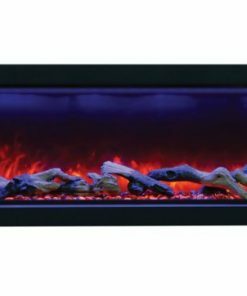 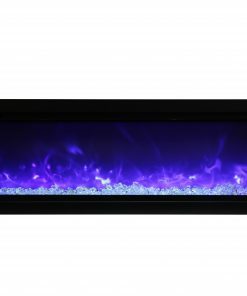 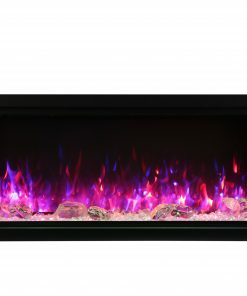 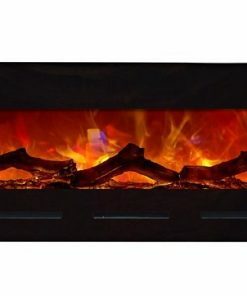 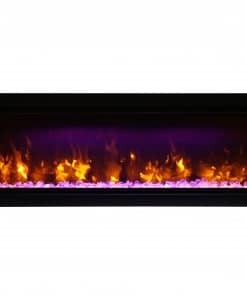 Featuring the vibrant Fire & Ice flame set, with just a click of your remote you can easily change the flame color from blue to purple to violet to orange or yellow. 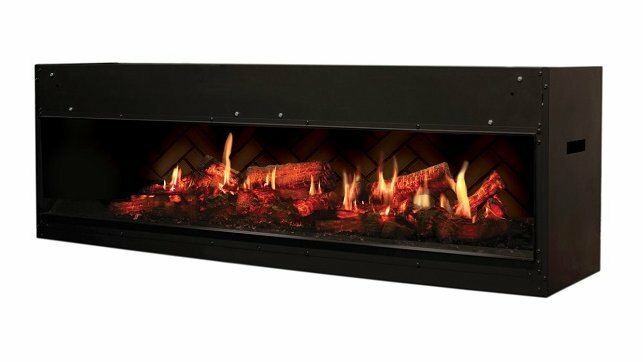 6 3/4″ models have a single flame set. 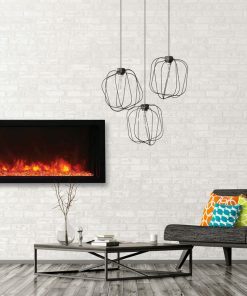 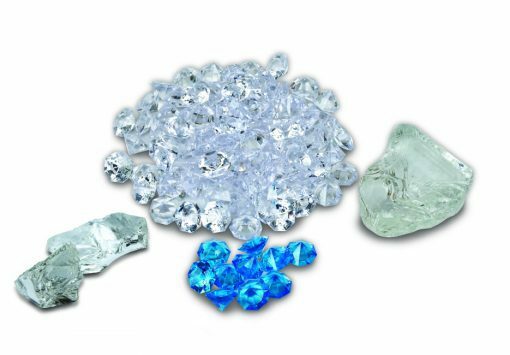 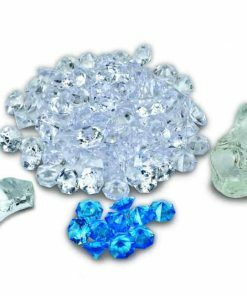 All units come with ICE decorative media.